El Advance, uno de los muchos barcos de vapor que participaron en la evasión del bloqueo naval al bando confederado durante la Guerra de Secesión. La evasión del bloqueo naval durante la Guerra de Secesión fue un conjunto de operaciones destinadas a evitar la situación de bloqueo que el bando unionista impuso al bando confederado durante la Guerra Civil norte americana, que se extendía a lo largo de 5.600 kilómetros (3.500 millas), desde el Océano Atlántico y el golfo de México, y hasta el río Misisipi. La evasión se realizaba por medio de barcos de vapor, muchos de ellos especialmente construidos para alcanzar una elevada velocidad para la época, que debían navegar normalmente por la noche para no ser detectados. Si eran avistados, los barcos (llamados blockade runners, es decir, evasores del bloqueo) trataban de maniobrar o sencillamente sobrepasar cualquier barco de la Unión que estuviera actuando como patrulla de bloqueo. Los barcos empleados para esta tarea eran generalmente de propiedad privada, a menudo operando con una patente de corso emitida por los Estados Confederados de América. Bennett, Frank M. (1897). 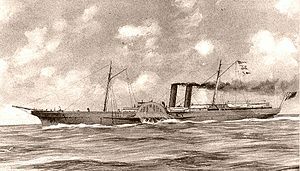 The Steam Navy of the United States. Warren & Company Publishers, Philadelphia. p. 979. Bostick, Douglas W. (2010). Charleston Under Siege: The Impregnable City. The History Press, Charleston, South Carolina, 158 pages,. ISBN 9781596297579. Boyd, Steven R. (2010). Patriotic Envelopes of the Civil War: The Iconography of Union and Confederate Covers. LSU Press. p. 169. Browning, Robert M., Jr. (1993). From Cape Charles to Cape Fear. The North Atlantic Blockading Squadron during the Civil War. University of Alabama Press, 472 pages,. Cochran, Hamilton (1958). Hamilton Cochran. Bobbs-Merrill; Original, Univ. California, 350 pages,. Calore, Paul (2002). Naval Campaigns of the Civil War. McFarland, 232 pages,. Canney, Donald L. (1998). Lincoln's Navy: The Ships, Men and Organization, 1861-65. Naval Institute Press. p. 232. Carr, Dawson (1988). Gray Phantoms of the Cape Fear: Running the Civil War Blockade. John F. Blair, Publisher. pp. 227 pages,. ISBN 9780895875525. Confederate Congress, 1861-1865 (1905). Journal of the Congress of the Confederate States of America, 1861-1865. U.S. Government Printing Office, 917 pages, Washington. Cooper, William J. (2001). Jefferson Davis, American. Random House Digital, Inc, 848 pages,. ISBN 0-394-56916-4. Coulter, Ellis Merton (1950) [1994 reprint]. The Confederate States of America, 1861-1865 (7th printing edición). Louisiana State University Press. p. 644. ISBN 0-8071-0007-2. Donald, David Herbert (1996). Lincoln. Simon and Schuster, New York. p. 714. Ellis, John E. «Confederate States Navy, Museum, Library & Research Institute». Confederate States Navy Research Library, Mobile, Alabama. Consultado el 10 de abril de 2012. Evans, Clement Anselm (1899). Confederate military history: a library of Confederate States history, Volume 12. Confederate publishing company. p. 403. Frajola, Richard (2011). «Tales from the Blockade». Richard Frajola. p. 16. Consultado el 5 de mayo de 2012. Katcher, Philip R. N. (2003). The Army of Northern Virginia: Lee's Army in the American Civil War, 1861-1865. Fitzroy Dearborn, New York. p. 352. ISBN 1-57958-331-8. Merli, Frank J. (1970). Great Britain and the Confederate Navy, 1861-1865. Indiana University Press, Indiana. p. 342. ISBN 0-253-21735-0. Tans, Jochem H. (1995). 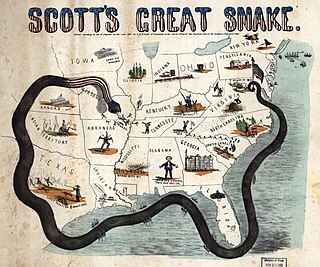 The Hapless Anaconda: Union Blockade 1861-1865. The Concord Review, Inc. p. 30. U.S.Congress, 1893-1894 (1895). Congressional edition, Volume 3267, Issue 1. U.S. Government Printing Office, Washington. p. 989. Walske, Steve (2011). Civil War Blockade Mail: 1861 - 1865. Steve Walske Exhibition at WESTPEX 2011. p. 32. Bulloch, James Dunwody (1884). The secret service of the Confederate States in Europe, or, How the Confederate cruisers were equipped. G.P. Putnam's Sons, New York, 460 pages,. Gorgas, Josiah (1995). Wiggins, Sarah Woolfolk, ed. The Journals of Josiah Gorgas, 1857-1878. University of Alabama Press, 305 pages,. ISBN 0-8071-0007-2. Wilkinson, John (1877). The Narrative of a Blockade-Runner. Sheldon & Company, New York,. p. 252. Woods, Robert H.; Rush, Captain, U.S. Navy, retired, Lieut. Commander Richard (1896). 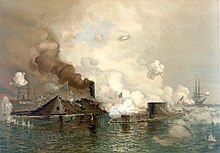 Official records of the Union and Confederate Navies in the War of the Rebellion. Government Printing Office, United States. Naval War Records Office, United States. p. 276. ISBN 1-58218-556-5. «under the direction of Hon. H.A. Herbert, Secretary of the Navy Office of Naval Records and Library». Buker, George E. (1993). Blockaders, Refugees & Contrabands: Civil War on Florida's Gulf Coast, 1861-1865. Tuscaloosa, Alabama: University of Alabama Press. p. 235. ISBN 978-0-8173-0682-3. Graham, Eric J. (2006). Clyde Built: Blockade Runners, Cruisers And Armoured Rams of the American Civil War. Birlinn, UK,. p. 238. ISBN 978-1-84158-584-0. Hearn, Chester G. (1992). Gray raiders of the sea: how eight Confederate warships destroyed the Union's high seas commerce. International Marine Pub.,. pp. 351 pages,. ISBN 978-0-393-04758-5. Rhodes, James Ford (1917). History of the Civil War. New York, Boston, London: MacMillian & Co. p. 467. Galardonado con el premio Pulitzer de Historia en 1918: cubre de forma detallada el teatro naval de operaciones, barcos participantes en la evasión del bloqueo, David Farragut, David Dixon Porter, etc. Tucker, Spencer (2010). The Civil War Naval Encyclopedia, Volume 1. ABC-CLIO, 829 pages,. ISBN 978-1-59884-338-5. Woodworth, Steven E. (1996). The American Civil War: A Handbook of Literature and Research. Greenwood Publishing Group, 754 pages,. ISBN 978-1-57958-331-6.